As social entrepreneurs, our main objective is not to accumulate wealth, but to make a positive impact in the world. We envision a world full of highly effective leaders, with and without titles, who are happy, kind, compassionate, and who serve and inspire greatness in others. Accordingly, there are no shareholders accumulating wealth in our company. We re-invest revenues to make a bigger impact, and keep enough cash on hand to cover about six months of operational expenses. The profits that remain each year DO NOT go to shareholders – 100% of the profits are donated to charity. I envision a world where every company operates with a similar model – instead of using profit as a means to accumulate wealth and possessions, using it to serve the people in the organization and the community. This not only results in better business outcomes, it simply makes life more awesome. I hope that you’ll consider sharing with those around you in the same way. If you’re already doing so, I’d love to hear about your experiences. The Heroes Circle Martial Arts Program in Gainesville is a joint effort between Kids Kicking Cancer and Shands Arts in Medicine. The program offers evidence-based tools to youth dealing with serious illness, through martial arts training. The tools help young people to lower their pain levels and effectively deal with the emotions that come along with a diagnosis of a serious illness. Matt co-founded the Gainesville program, and plans to stay involved with the program – even if only on a volunteer basis – well into the future. Climb for Cancer is an innovative foundation that helps raise money to ease the suffering of people going through a cancer diagnosis, and ease the suffering of their family members as well. Most of the funds raised for the program come through climbing expeditions to major world peaks, so people are accomplishing perhaps the most challenging thing they will ever do while they raise money for a great cause. 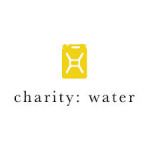 charity: water is a non-profit organization bringing clean and safe drinking water to people in developing nations, where roughly 800 million people go without safe drinking water every day. charity: water ensures that 100% of public funds go directly to services; private donors cover their operating expenses. The effects of providing safe water are incredible. In addition to increased health and quality of life, having safe water creates a huge economic impact. Every $1 invested in improved water supply and sanitation yields an average of $4-$12 for the local economy, depending on the type of intervention. The Prison Entrepreneurship Program (PEP) does not deal with the most loved population in the world, but the organization creates a tremendous impact by putting incarcerated individuals through an intensive, college level, entrepreneurship training program. They boast a 500-1,000% return to the community on every dollar invested in the program. Graduates from the program have a better employment rate (98% within three months of release) than most people currently graduating from college, and only 5% of them return to prison (the national average is around 65%).